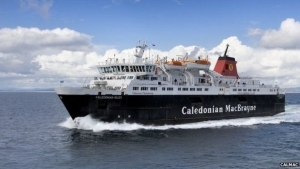 Shearwater Marine Services has been appointed as the lead contractor to provide diving support services to ferry operator CalMac. The company, based in Dunoon, will now be responsible for all diving support to CalMac’s 31 strong fleet and harbour operations after winning the competitive tender competition. Moving to a framework agreement with a single supplier will improve consistency of service and will ensure CalMac effectively meets new health and safety regulations. “Safety is our number one priority. With new Health and Safety Executive guidance requiring dive teams to consist of a minimum of five divers and use a surface air supply, appointing one supplier is the most effective way of ensuring we continue to get underwater teams that meet all the new requirements where they are needed quickly. Although in some remote locations, this may now mean it takes longer for a team to get on site,” said CalMac’s Head of Harbours, Alasdair Henderson. Shearwater Marine Services are highly experienced in servicing clients in the shipping, renewable energy, aquaculture, construction and demolition sectors. CalMac uses dive teams regularly to inspect hulls and explore issues with propellers such snagged ropes as a quicker and more cost effective solution to a dry dock inspection. As harbour operators CalMac also has legal responsibility to oversee diving operations needed to inspect or repair port infrastructure. Shearwater will have the ability to subcontract to other suitably qualified diving suppliers as required.